"The challenges we face today are no less daunting than those of ten years ago." When I joined this unique group in 2016, I said that “our world faces many grave problems that require us to join hands and share our different experiences”. My experiences with The Elders since then have only served to redouble my belief that a sense of compassion and collective endeavour is vital to achieving freedom for all. Nowhere was this more evident than in South Africa last month, when I had the privilege of celebrating two significant anniversaries with my fellow Elders: the tenth anniversary of our group, and what would have been the 99th birthday of our founder, Nelson Mandela. 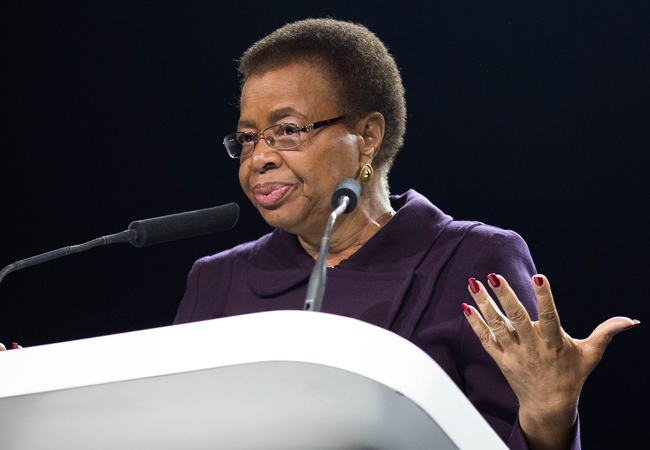 I was proud to stand alongside Martti Ahtisaari, Gro Harlem Brundtland, Hina Jilani, Graça Machel and Mary Robinson in Cape Town to launch our new “Walk Together” campaign, which looks to support courage and hope in fighting for the freedoms to which Madiba dedicated his life. We held two uplifting and inspirational events: an evening at Cape Town’s District Six museum to pay tribute to the resilience of the communities in South Africa who suffered so much under apartheid, and a walk and gathering in the city centre that brought together people from all districts and backgrounds to celebrate the enduring legacy of Nelson Mandela. We walked together on Mandela Day to honour his memory and serve others as he did, offering hope where there is despair, showing solidarity with the most marginalised communities and amplifying their calls for peace, justice, health and equality. Nelson Mandela founded The Elders because he never stopped believing a better world was possible. This exceptional man took a vision, which others would have dismissed as naïve, or unrealistic, or both, and made it a reality. His is a life from which we can all still draw inspiration and learn something new; from his courage in struggle, his fortitude in imprisonment, his magnanimity in victory and his clarity of wisdom as an elder statesman. 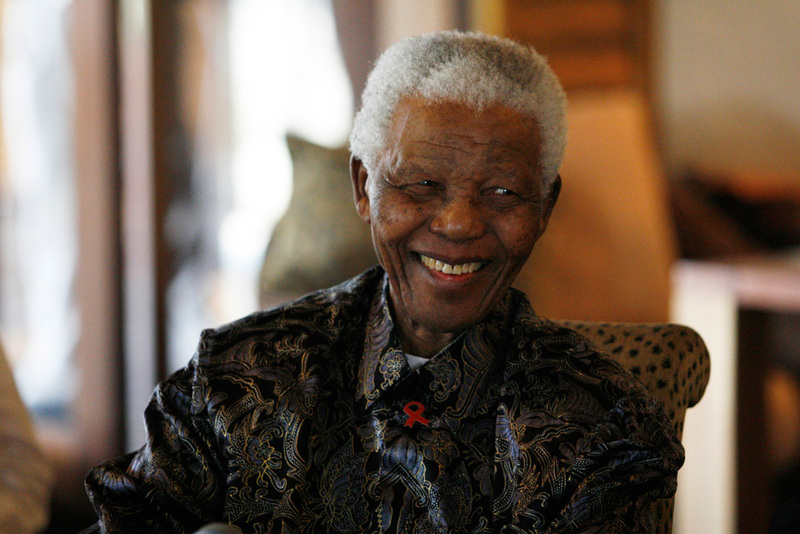 In his later years, Mandela saw with characteristic acuity that our world was beset by formidable challenges, exacerbated by a dearth of ethical leadership. Guided by his vision and the moral force of his mandate, The Elders have worked hard since 2007 to bring hope where there is despair, and support courage where there is fear. The challenges we face today are no less daunting than those of ten years ago. Wars and violent unrest scar the face of every continent, driven not only by nationalism or political ideology but also religious extremism. These conflicts entail massive violations of human rights, and the culture of impunity they foster erodes the rule of law and access to justice. Following the global financial crisis of 2008, the path to social and economic equality has become more difficult to follow, not only in poor countries but also in upper and middle-income states. Millions of people across the world are also still denied access to adequate health care because many countries have not made it a major priority despite their commitments under the UN Sustainable Development Goals. How Mandela would have dealt with these issues in today’s world, and how we can best uphold his values in this changed environment, is what will be discussed as we walk together in the year ahead. Global freedoms are under threat from an ugly mood of nationalism, xenophobia, populism and intolerance. I come from a country that suffered under a cruel dictatorship that displayed all of these characteristics. Like South Africans, the Chilean people were denied their freedoms for peace, justice, equality and health. But their desire for these freedoms was equally unquenchable. 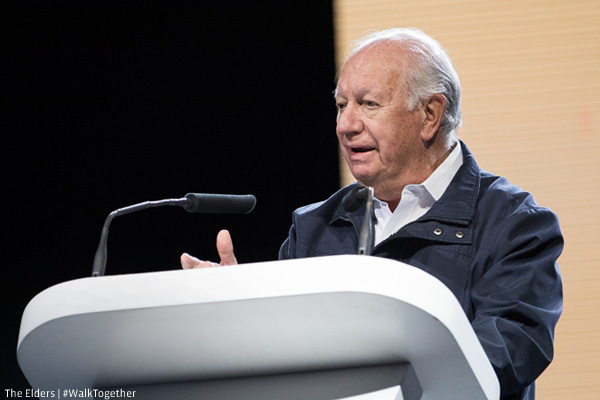 The flame of liberty burned in our hearts in Santiago as brightly as it did in Soweto – and Chileans ultimately regained our freedoms after a long struggle, many sacrifices and huge and sustained commitment. Over the next year, The Elders will walk together to continue our fight for the freedoms so close to Madiba’s heart: peace, justice, health and equality. We will be joined by our campaign partners: CIVICUS, Search for Common Ground, Namati and the Global Legal Empowerment Network, Global Citizen, Last Mile Health and the Universal Health Coverage Coalition. 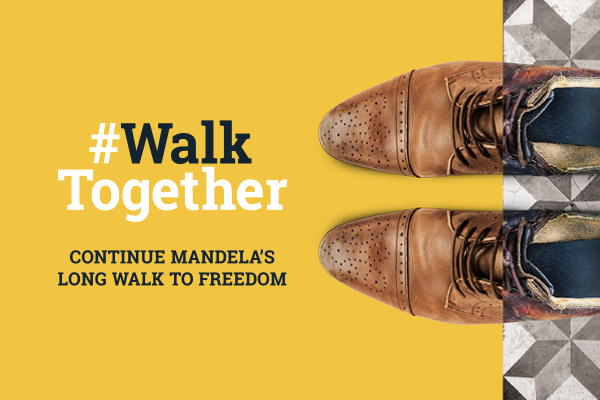 In this way, and via other public events in the year ahead, we hope we will be joined by you –women and men from all over the world – as together we continue Nelson Mandela’s long walk to freedom.